PA chairman says PA will not stop paying families of terrorists imprisoned in Israeli jails, stresses they are "our martyrs". Palestinian Authority (PA) chairman Mahmoud Abbas made clear on Sunday that the PA will not stop paying families of terrorists imprisoned in Israeli jails, despite the fact that Israel approved a law withholding tax funds to the PA as long as it continues to pay terrorists. “We will not allow anyone to interfere with the money that Israel is against us paying to the families of martyrs and prisoners. These are our martyrs, our wounded and our prisoners, and we will continue to pay them. This is something we started in 1965,” Abbas said at the opening of a meeting of the Fatah Central Committee in Ramallah, according to the Wafa news agency. PA officials made clear last week that the PA will never cease paying terrorists' salaries, threatening that Prime Minister Binyamin Netanyahu would have to pay more if the salaries were deducted from the payments to the PA.
Last week, Shukri Bishara, the PA official in charge of finances, said the PA government would continue to pay the families of the “shaheeds” (martyrs). "The responsibility of the state and the homeland is to take care of our sons and daughters when they are illegally arrested in Israeli jails," Bishara told Wafa, adding, "We have an obligation not to turn our backs on them, but rather to adopt them. They can withhold as much as they want, we will not shake off our responsibility." In his remarks on Sunday, Abbas also said that so-called American “Deal of the Century” will not pass. “Among the issues we must focus on in the coming period are these protests and how to approach them because we have ahead of us the deal of the century, which, as you know, we have taken a position regarding it and we have assured the world that we are against it, that we will not accept it and we will not allow it to pass,” he declared, according to Wafa. 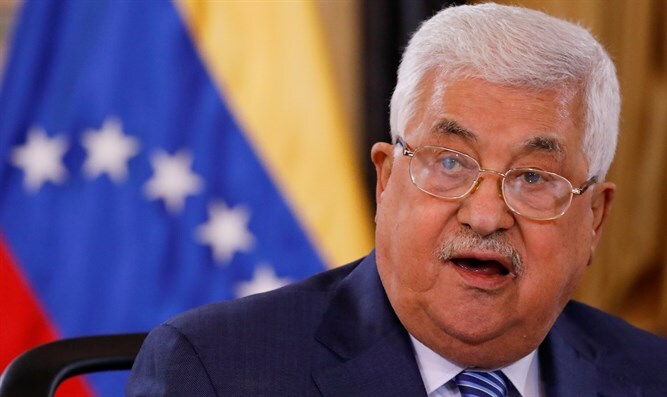 “We want to affirm that our Arab brothers have assured us that they are against the deal of the century, in addition to that, there are countries in the world - in Europe, Asia, Africa and also others - which began to realize that the deal of the century cannot pass,” added Abbas. Abbas has refused to consider the Trump administration an honest broker for peace negotiations with Israel since President Donald Trump’s recognition of Jerusalem as Israel’s capital last December. He and other PA officials refused to meet Trump’s senior adviser, Jared Kushner, and his Middle East envoy, Jason Greenblatt, when they recently visited the region for talks on Trump’s peace initiative.